If you got them before, no need to sign up again. 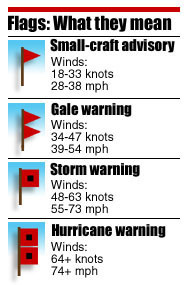 If you would like to be included, see the Harbor Alert Info Page - I will no longer be using twitter to send alerts. Thanks for all the positive support during the camera outages! Buzz is getting a new brother "Skeeter" for more aerial images. looks a little soggy in the northland today! Thanks Dennis for going back to the texting!! Den, could you occasionally send Buzz or Skeeter over to the Superior entrance when traffic dictates. It would be a perspective we don't get to see very often. Thanks! I had Buzz over to Superior back in June. Great! Texting is far more immediate--a heads up. I hardly ever check twitter feeds. that is great Dennis I heard them this a.m. has we are in Duluth.!!! After 41 years of marriage, she just rolls her eyes when the UPS truck stops by. Leo, no, I probably won't fly them at the same time. In fact, because I have FAA approval to use them for commercial purposes, I have many more operating restrictions then hobbyist. OK Thought as much. Will Skeeter have a few more tech upgrades than big brother? Skeeter will be the workhorse, Buzz will have the upgrades.